In Iowa, judges contemplate that reasonable and ordinary changes are likely to occur following a divorce. A spouse who wishes to modify a divorce decree must show that an unanticipated and substantial change occurred. Judges rely on statutory factors for guidance in making these determinations. Generally, the remarriage of the receiving spouse (or an unexpected increase in income) is sufficient. If one spouse's earning potential was unknown at the time of divorce but became known after the divorce, this may be enough for modification. An example of this would be if the receiving spouse was a homemaker (or an unemployed or underemployed spouse) at the time of divorce but subsequently became gainfully employed. It is important to note that you may not request a modification to add alimony, if alimony was not part of the original divorce decree. In Iowa, modification of child custody and support requires that a parent show a substantial change in circumstances. The parent must prove that conditions related to the children of the divorce have materially changed since the divorce. The parent needs to also show that he can offer superior care for the children compared to the other parent. Additional factors include changes in residence or the child's needs. For child support, a substantial change would be a 10 percent or more increase or decrease in the amount of child support due under the state's current Child Support Guidelines. This does not mean a 10 percent increase or decrease in income, but refers to the amount of calculated support that results from the increase or decrease in income. Additional considerations could include If the child has turned 18 or if a parent's health has changed. To renegotiate alimony, child custody and support in Iowa, you must complete and file a motion called an, "Application to Modify Decree of Dissolution of Marriage," with the court clerk at the courthouse that issued the original divorce decree. The matter proceeds in a similar way to the divorce process in that it requires service of the motion on the other party and an opportunity for the filing of a written response. If you and your ex-spouse agree with the modification, you can include a written agreement with the court. If you cannot reach agreement, a hearing will be necessary and a judge will render a decision. Modifying a property division order is more difficult. Generally, a judge will stick with the original determination, unless one spouse can prove that the judgment was obtained by fraud, duress, coercion, mistake or other similar grounds. You must prove that the information available to the court at the time of divorce was incorrect and lead to an improper judgment. 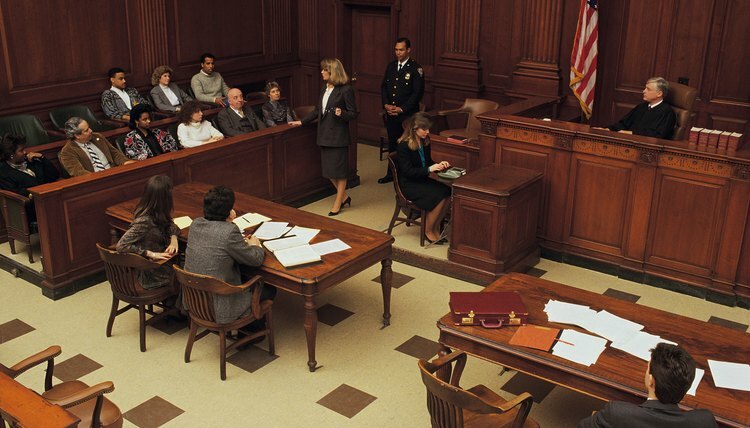 In contested cases with a trial, this can be accomplished by appealing the decision. An appellate court will review the decision to determine whether the lower court made an error. If the matter was finalized via a signed agreement between the two spouses but was later found to be obtained by fraud or through a mistake in valuation, the parties can file a Motion to Vacate. This motion asks that the trial court declare the property division portion of the decree void and issue a new order based on the new information. Iowa Legal Aid: Divorce Law in Iowa with No Children and No Lawyer, p. 9. In re Marriage of Sjulin, 431 NW 2d 773 (1988). In re Marriage of Walton, 577 NW 2d 869 (1998). In re Marriage of Malloy, 687 NW 2d 110 (2004). In re Marriage of Trickey, 589 NW 2d 753 (1998). In re Marriage of Full, 255 NW 2d 153 (1977).